Producing quality photos for a portfolio or an album is possible only by means of using a professional studio. For experienced and beginner photographers from Prague, as well as guests of the Czech Republic we offer a professional studio with all the necessary latest equipment necessary for a photoshoot of any kind. The studio can be rented by both individuals or travel agencies who offer tours to the country and include photography services into their travel packages for tourists. 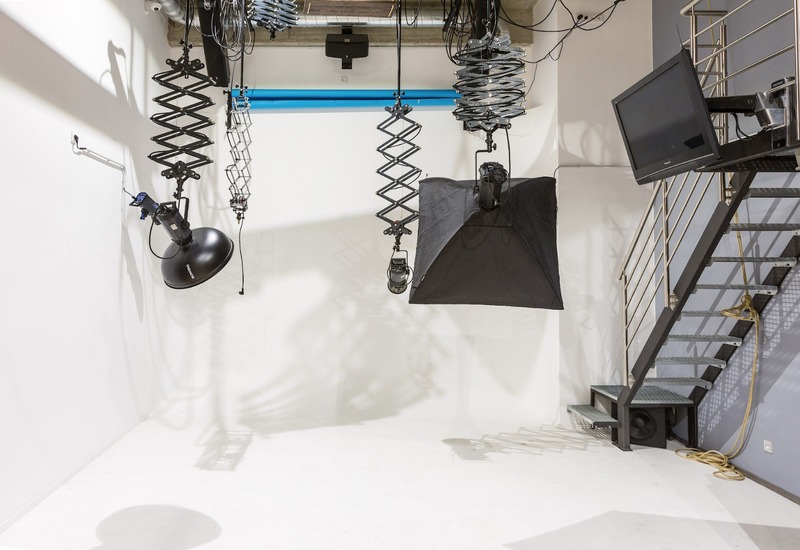 Renting studio up to 3-hours – 400 CZK per hour, over 3 hours – 350 CZK per hour. If you rent the studio for the entire working day, we will make you a special offer. Professional photoshoot in the studio will cost 1900 CZK per hour of the photographers work. Renting of the studio and a photo shoot with our photographers is a demanded service so schedule your visit in advance. We will try to accommodate all your requests and to provide professional and qualitative service. While rendering the services of a photostudio in the Czech Republic, we offer access to professional equipment necessary for photography. For you we offer the services of a professional photographer who is able to organize a professional photoshoot in accordance with the highest requirements of our Clients. The end-result of your photoshoot can be received in both digital (on a cd) and printed pictures, or as a professional portfolio. You can also rent the premises for a group photoshoot . The size of our studio allows for all sort of ideas to be brought to life. To each client we will find a personal approach, which will guarantee a desired results. We will apply all our best efforts to ensure that you will return to us again and again. The studio is equipped with the most modern equipment and instruments for photography with unique effects – rain, smoke, wind. Further processing and printing of the pictures provides a colorful album, which will serve as a pleasant memory of an important event in your life. Renting of the studio in the Czech Republic is possible at any convenient time from 8 to 22 o’clock. It is better to rent the studio in advance in order to have the studio avaliable at the desired day and time. A wide variety of additional services and capabilities will provide the desired effect from the photoshoot.